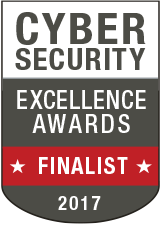 MENLO PARK, Calif., February 3, 2017 – Nozomi Networks, the pioneer in cyber security and operational visibility for industrial control systems (ICS), today announced that SCADAguardian is a finalist in this year’s Cyber security Excellence Awards. The awards honor companies, products and individuals that demonstrate excellence, innovation, and leadership in information security. SCADAguardian provides real-time cyber security and operational visibility for industrial control networks. It rapidly detects cyberattacks and process anomalies, providing insights that improve cyber resiliency, reliability, and safety. By automating the task of providing up-to-the minute visualization of the industrial network, including its components, connections, and topology SCADAguardian allows OT and IT teams to focus on pre-empting or mitigating issues that could impact security or availability. The Cyber Security Excellence Award recognizes cyber security products, professionals and organizations worldwide. It focuses on a wide array of cyber security problems and partners with the Information Security Community on LinkedIn, tapping into more than 350,000 cyber security professionals.